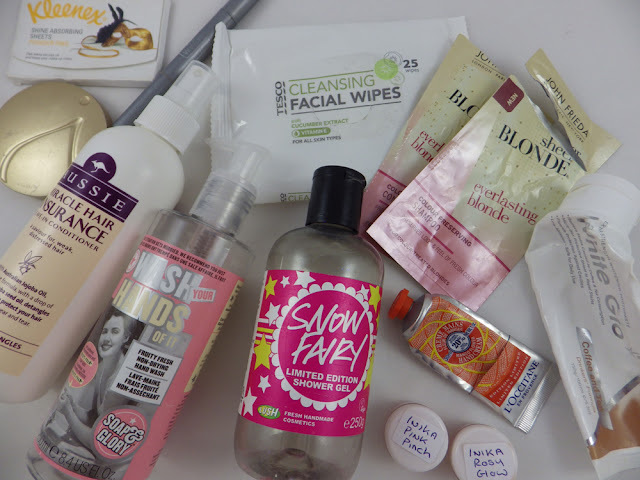 I can't believe how many products I've used up this month, this may be the biggest empties post I've ever done! I think it's partly coincidence and partly due to the beauty spending ban I'm on at the moment. 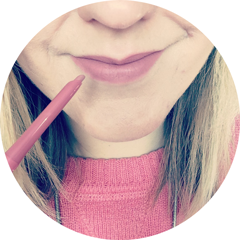 So I'll take a deep breath and give you my thoughts on June's empties! I love this stuff! I tend to use it after towel drying my hair if it's knotty; a couple of sprays of this and a brush goes through much easier. Plus it smells AMAZING. It is also designed to protect hair from everyday wear and tear. Re-purchase? Yes - this must be one of my top re-purchased products! I always have a pack of face wipes in my bedside draw for when I need to remove eye makeup quickly (e.g. getting back from a night out and not wanting to faff with proper remover and cotton wool!). I don't use them for anything else. These are okay and do the job, but I have used better! Re-purchase? Probably - they're cheap and convenient to pick up with the Tesco food shop! This formula is designed to stop blonde hair from fading while keeping it soft. It was nice to use and definitely kept my hair feeling soft. However I'd need to use this duo long term to judge if it actually preserved the colour too. Purchase full size? I'll consider it when my current shampoo and conditioner run out. I was given this in a set with a bottle of Hand Food. This is a pretty, pink handwash with the standard Soap and Glory scent. It doesn't dry your hands out and the bottle looks really good by the sink! Re-purchase? It's lovely, but a bit too expensive for me. Lush Snow Fairy Limited Edition Shower Gel 250g - £? This shower gel is released by Lush every winter for Christmas and goes back off the shelves in January. It's the ultimate girly shower gel; bright pink and smells seriously sweet, of candy floss and pear drops. Re-purchase? I'll definitely get another when Christmas comes around. I bought these from the website Beauty Bazaar as there weren't many reviews/swatches of these shades online. My favourite was Pink Pinch, which gave a lovely natural flush. I personally thought Rosy Glow, described as a pink/mauve shade, was a little too deep for me. Purchase full size? Once I'm done with my spending ban I think I'll purchase Pink Pinch. This was a mag freebie last year. L'Occitane is my favourite ever hand cream - the formula is really thick, luxurious and intensively moisturises without being greasy. This one had a nice, fruity scent. Purchase at full price? This scent is no longer available, but I have the original version to keep me going! I love the thick, minty formula of White Glo and the fact that for £3.99 you actually get a toothbrush as well! My teeth aren't very stained but some days I drink a lot of tea, so I'm going with the prevention is better than cure philosophy! This definitely does the job with staining, though in general I wouldn't say there's been a massive change to the actual colour of my teeth. If you read my empties regularly you'll know that I use these daily and so empty a pack nearly every month. I stockpile them when they're on offer! These are just what I need to combat oil and shine. Re-purchase? I have one left from my last 99p offer haul! This contains witch hazel extract to treat spots as well as conceal them. I always find that this helps dry up my whiteheads quicker, which is a bonus! This has been my go to powder for quite awhile; it's mineral and so doesn't clog my pores. I always like to set my makeup with a powder as I think it adds a little extra coverage and mattifies at the same time. This is an expensive choice, but I'm so fussy I tend to go back to it! Re-purchase? No - I found a Physician's Formula 100% natural pressed powder in TK Maxx for just £4.99! Phew! If you're still reading - thank you! 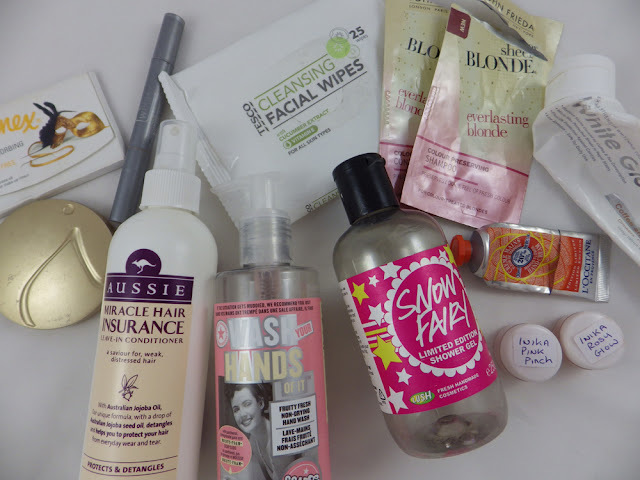 I'd love to know what empties you used up in June and if you regularly purchase any of the above products? I love Snow Fairy, I woner how much money Lush would make from it if it was available all year round! Oh no, I'm sorry your Snow Fairy is empty! Mine has a little bit left. LOVE it. The aussie spray is something I almost bought the other day and resisted, but now I am gutted I didnt persuede myself to get it! Sounds good!